First post for the month, and its all just photos! 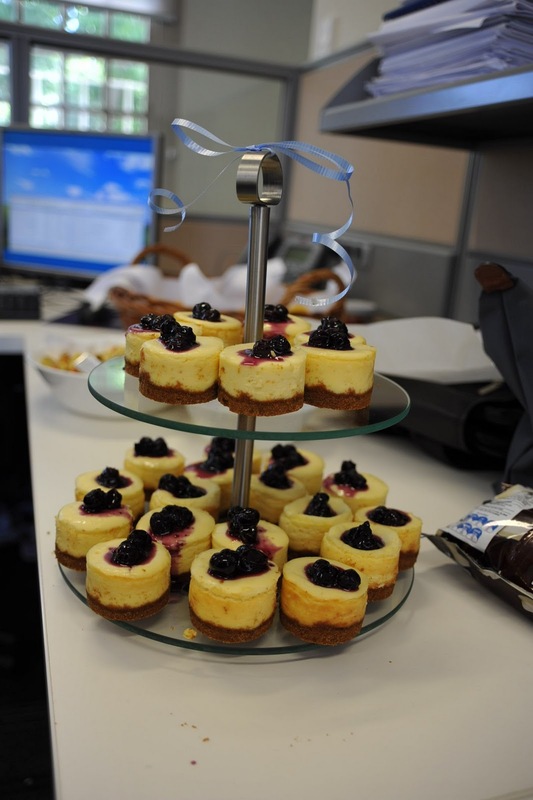 Made 30 mini cheesecakes and my Chicago Mini Cheesecake pan worked overtime! These were for a friend who ordered it for an afternoon tea baby shower for her office colleague. These were the photos she took from the day. Aren't they just cute! 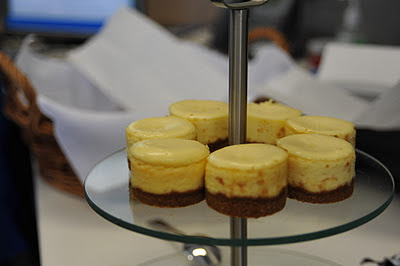 I took some of the left over cheesecakes to work and everyone just drooled! Who wouldn't, right? 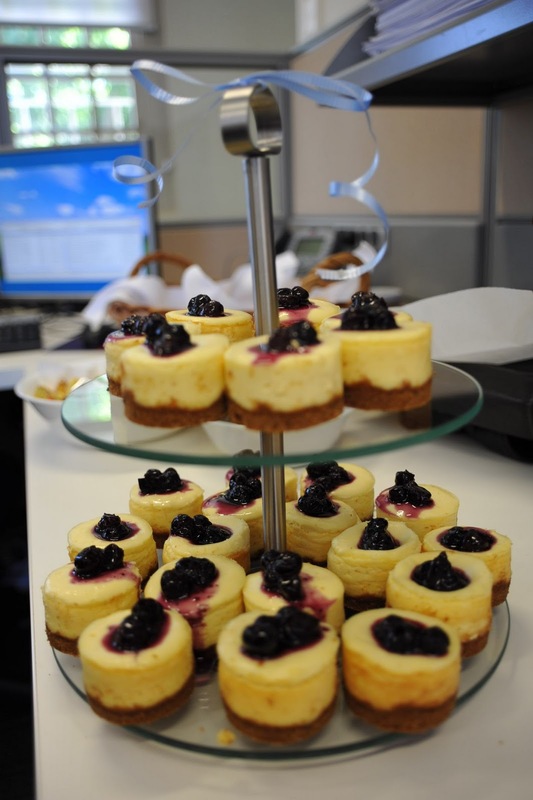 Blueberry cheesecakes are all-time classics! Thanks for the photos D!